Scouting Report: Florida is back in the NCAA Tournament for a third straight year and the 20th time in program history. The Gators are 43-17 all-time in the tournament, with 11 trips to the Sweet 16, another 10 Elite Eights, five Final Fours and two national championships. The Gators are here because of their three-game run in the SEC Tournament last week, when they overwhelmed Arkansas by 16, narrowly got by top-seeded and regular-season champion LSU on a 3-point shot with one second left, then lost to eventual tournament champion Auburn by three in the semifinals. 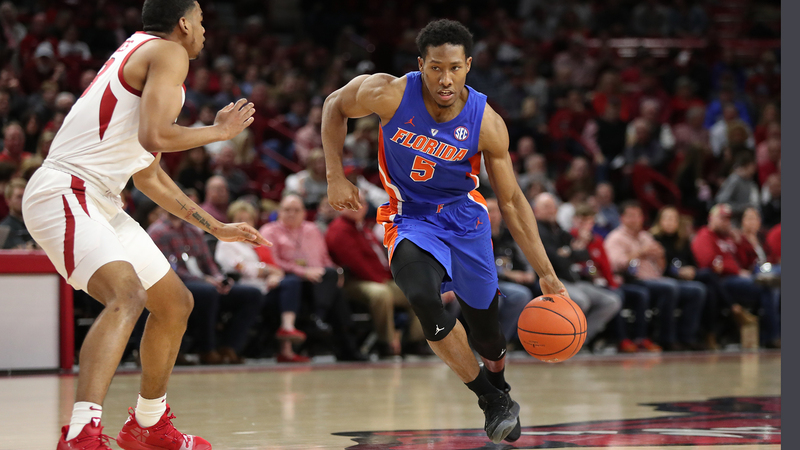 The defeat of LSU gave UF two wins over the conference champs and coupled with an ambitious overall schedule one of the last at-large bids into the field of 68. The Gators’ last NCAA trip was in 2018 to Dallas, where as a No. 6 seed they beat 11th-seeded St. Bonaventure, 77-62, then lost to No. 3-seed Texas Tech, 69-66, on a game that went down to the final possession. The Gators are ranked 14th nationally in defensive efficiency, as they yield 91.9 points per 100 possessions. The offense has not been great so look for Florida to play a defensive minded game to come out with this game. Key Player: Senior G KeVaughn Allen, at 12.0 points per game, is the only player in double figures. scoring. He entered the SEC tournament on a wicked-cold streak (just 3-for-22 from the floor and 2-for-13 from deep during a regular-season ending three-game losing skid), but snapped out of it, somewhat, in scoring 12.7 points per game and had a different vibe about him in the tournament and will look to carry this over into the NCAA tournament. Fantasy Player: Senior G Jalen Hudson was scoring just 6.8 points per through 21 games, but over the last 12 is at 14.0 points, which looks an awful lot like the 15.5 he averaged as the team’s leading scorer as a fourth-year junior in 2017-18. Over that stretch, Hudson is shooting 42 percent overall and just 32.2 from 3. Look for him to come up big from a fantasy point of view in this game. Scouting Report: Nevada is making its third straight appearance in the NCAA Tournament and ninth appearance overall. The Wolf Pack have a 6-8 all-time mark and two trips to the Sweet 16, one coming last year. 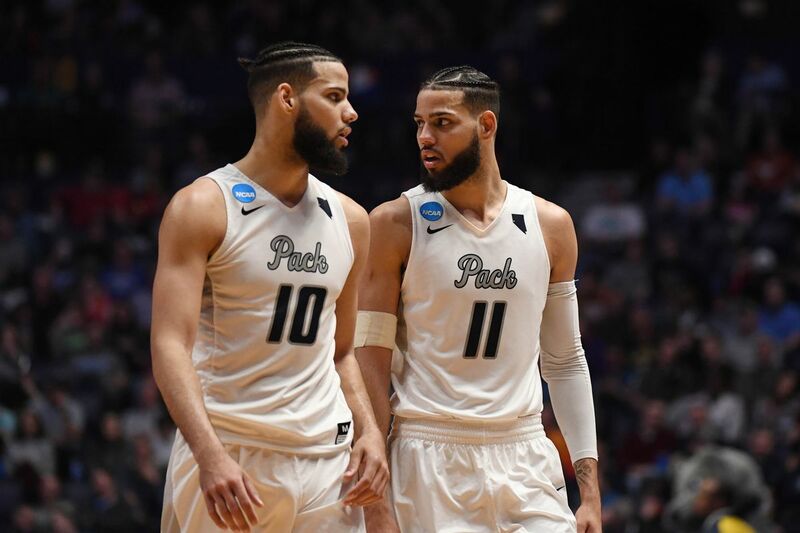 The Wolf Pack’s place in this year’s tournament was never really in doubt, even after being ousted by San Diego State in the second round of the Mountain West Conference Tournament. 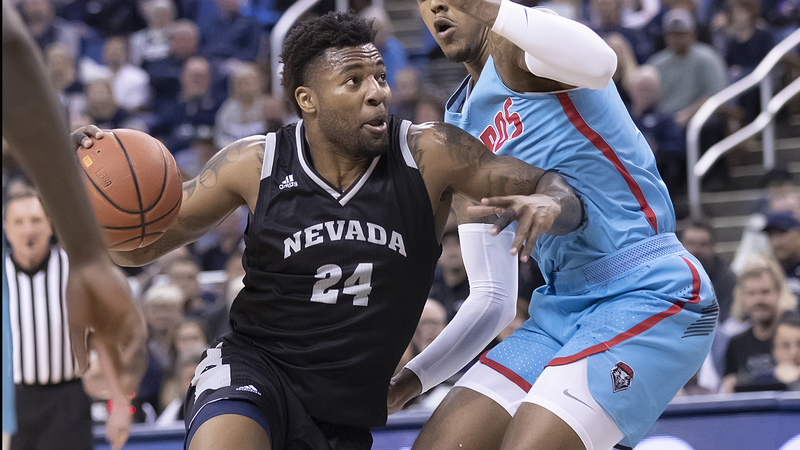 Nevada started the season with 14 straight wins and dominated its league on the way to a third straight regular season conference crown and school-record 29 victories. The Wolf Pack, which played as a 7-seed in 2018 as well, defeated 10th-seeded Texas in overtime, 87-83, then upset No. 2-seed Cincinnati, 75-73, but lost a 69-68 heart-breaker in a battle of Cinderellas to No. 11-seed Loyola Chicago , which eventually reached the Final Four. Getting back senior big man Jordan Caroline will help the Wolf Pack offense. Caroline missed the MW Tournament loss to San Diego State because of an Achilles injury but should be good to go in this game. Including Caroline, the Wolfpack roster (and certainly the starting lineup) is among the oldest in all of college basketball. The Pack starts five fifth-year seniors, all of whom transferred from other schools. Nevada, with an adjusted offensive efficiency that ranks 26th nationally, wants to play fast, which means this game will be a stare-down contest of which team can control tempo as Florida would prefer to play slower and a defensive game in this first ever meeting between these two schools. Key Players: Senior G Caleb Martin averaged a team high 19.2 points and 9.6 rebounds per game this year. He is shooting 41.7 percent from the floor and 34.3 percent. He’s reached 20 points in nine of his last 13 games, including 30 in a win over Boise State. His twin brother G Cody Martin is the playmaker has 167 assists and just 62 turnovers this season. How this duo in the backcourt will be key to keeping the pace of the game and to how well the Wolf Pack score. Key Fantasy Player: Senior F Jordan Caroline as mentioned is coming back from injury so he might be a little risky in a fantasy play but he is the second leading scorer on the team an leading rebounder. His size and agility will be difficult for the Gators to stop. This is especially true if the two Martins can hit some outside shots.